Jamie Allen’s first half strike stunned Hartlepool as Dover won 1-0 at a sodden Victoria Park on Saturday. 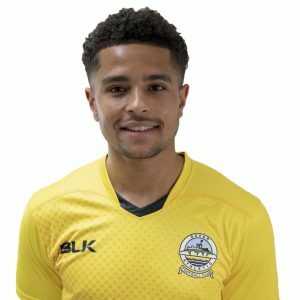 The Summer signing from Southport turned and fired into the bottom corner on 28 minutes as Dover won their opening National League fixture of the season at the fourth attempt. White’s goalscorer showed a glimpse of what was to come early on, running clear of the home defence and squaring for Nortei Nortey to shoot, but the midfielder’s skewed effort failed to reach the target. Skipper Mitch Brundle then released the dangerous Allen down the left and the winger’s first-time cross just evaded the outstretched legs of Ryan Bird. The first shot on target saw Pool’s Padraig Amond volley Ryan Donaldson’s corner straight at Mitch Walker. 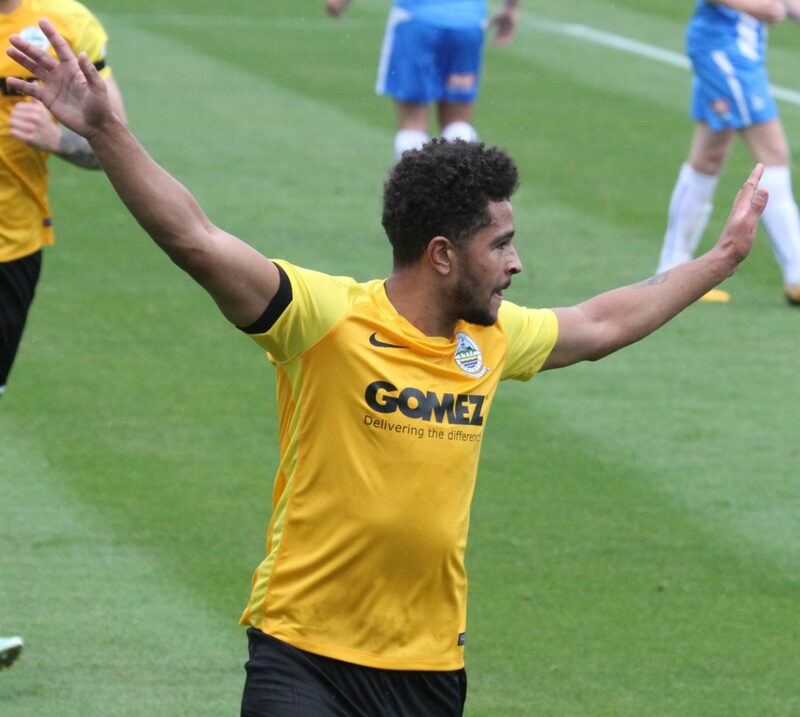 The second effort on goal came soon after from Kane Richards. The away attacker cut in from the right, but his weak effort was easily held by Scott Loach in the home goal. The next action saw Athletic take the lead. Brundle’s corner was initally cleared to Femi Ilesanmi and the defender’s first-time ball back into the box was fired home by livewire Allen. The lead should have been doubled minutes later as Ryan Bird thundered a header the wrong side of the post from Josh Passley’s cross. The teams were almost level before the break, but Jack Nunn could only volley Liam Donnelly’s cross wide. Home substitutes Rhys Oates and Jake Cassidy combined just after the break with the latter volleying wildly into the air when well placed. The ball fell back to Oates, but the winger’s header failed to hit the target. A lightning counter from Dover saw Nortey release Allen out wide, but the forward’s low pass was blazed over by Richards from close range. Bird went close with another header, this time nodding Ilesanmi’s cross straight at Loach. Hartlepool ramped up the pressure and a quick free kick was fired in. The ball rebounded towards goal off Amond, but a combination of Walker and Parry cleared the danger. Sub Tobi Sho-Silva should have sealed the win with twenty minutes remaining. The striker had just Loach to beat after being found in the box by Richards, but he placed his effort wide of the far post. Lewis Hawkins fired a low twenty-yard drive wide as the County Durham side continued to press for a goal. And the monkey hangers came close to finding an equaliser late on. Connor Newton created space for himself to shoot from just inside the box, but Walker was able to catch his effort with a diving save. Louis Laing then drove forward from the back and unleashed a fierce effort on target, with the visiting keeper comfortably clasping the ball. 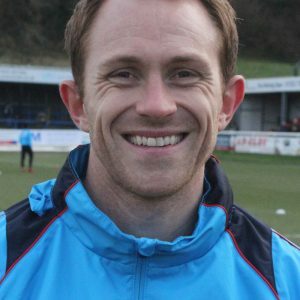 Dover almost made the three points safe at the death as substitute Mitch Pinnock sent an inch-perfect cross towards Bird, but the big striker could only nod the ball agonisingly wide. Earlier, manager Chris Kinnear made two changes to the team that started their final home friendly against Margate. Nortei Nortey and Manny Parry started in place of Mitch Pinnock and Manny Adebowale, who dropped to the bench. Hartlepool: Loach, Magnay(c), Laing, Harrison, Donnelly, Newton, Woods(Cassidy 45), Hawkins(Deverdics 81), Munns(Oates 45), Donaldson, Amond. Dover: Walker, Passley, Essam, Parry, Gallifuoco, Ilesamni, Nortei(Pinnock 80), Brundle(c), Richards(Daniel 82), Bird, Allen(Sho-Silva 64). Subs not used: Adebowale, Essuman.